What do we mean by alternative and complementary therapies? Alternative therapies include such techniques as acupuncture, chiropractic, massage therapy, relaxation, guided imagery, biofeedback, aromatherapy, yoga, therapeutic touch, homeopathy, diet, etc. These are unconventional or non-medical therapies that tend to focus on the integration of the body, mind and spirit, sometimes referred to as the holistic model. Most people with epilepsy need to take anti-epileptic medication to control their seizures, so the non-medical therapies are more often “complementary” to their conventional medical treatment, and not truly “alternative”. How effective are alternative or complementary approaches to epilepsy? There has not been much research done into alternative therapies for epilepsy, and, as yet, there is little scientific evidence of their effectiveness. 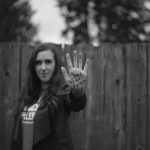 On the other hand, some people who have tried complementary treatments have felt that these have helped their epilepsy and improved their quality of life. Certainly, reducing stress can reduce seizures in some people, and alternative therapies that include stress-reduction techniques can help some people better control their seizures. Furthermore, the greater involvement of the person with epilepsy in his or her own seizure management through these therapies can be positive in itself. Can relaxation, yoga and meditation control epilepsy? The person with epilepsy who finds that they have more seizures when under stress may benefit from learning stress management and relaxation techniques such as progressive muscle relaxation and deep diaphragmatic breathing. Some people have found that yoga or meditation helps them prevent stress-induced seizures and improves their quality of life. Can epilepsy be controlled by acupuncture? Acupuncture, which is part of the traditional medicine of China, uses needles and sometimes heat to stimulate nerve endings. The goal is to bring the person’s health into a better mental, physical and emotional balance. Acupuncture has been used in patients with epilepsy with mixed results. Can epilepsy be controlled through behaviour therapy? In behavioural therapy, seizures are viewed as a kind of conditioned or learned (though not voluntary) response to environmental conditions. Behaviour modification strategies that have had some success in people with seizures involve rewards, reinforcement, auto suggestion, relaxation, desensitization and other conditioning strategies. Can epilepsy be controlled using aromatherapy? Aromatherapy uses pure aromatic oils from plants for stimulation and relaxation and to aid the healing process. Dr. Tim Betts, a British researcher, has had some success using oils on patients with epilepsy who can predict an imminent seizure. The idea is that the neuronal excitement in the brain that produces seizures can be altered, aborted or prevented by teaching a patient to change their state of arousal with the help of a particular aroma. The use of oils such as ylang ylang, camomile and lavender appear to help relaxation, whereas oils like rosemary, sage, hyssop, sweet fennel and wormwood can have the opposite effect and should therefore be avoided by people with epilepsy. Can epilepsy be controlled through biofeedback? Biofeedback for epilepsy uses EEG machines to help people identify and alter their own seizure-related brain activity. The person with epilepsy is trained over time to use relaxation or other biofeedback techniques to generate a more normalized brain wave pattern, which may in turn reduce their seizures. Can epilepsy be controlled through diet? The Ketogenic Diet has been used successfully by some pediatric neurologists to control seizures in children with serious epilepsy that does not respond to conventional medical treatment, but it has not proven effective in adults. For most people with epilepsy, a well-balanced, nutritional diet — including adequate folic acid, calcium and magnesium, Vitamins B12, D, E and K – is recommended, as is avoiding alcohol. Where can I find an alternative therapist? It is difficult to find an alternative therapist who specializes in epilepsy. Consulting the professional associations responsible for regulating alternative therapists is a good place to make inquiries about a therapist’s specialization and credentials. 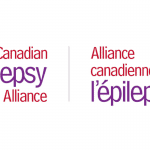 Epilepsy Newfoundland and Labrador may be able to give you some guidance. It is important that your alternative therapist be told that you have epilepsy and what medications you are on. Should I tell my doctor that I am trying an alternative treatment? Yes! Any chemicals, including herbs, can affect the way anti-epileptic drugs work, and your doctor, as your partner in managing your epilepsy, should know what you are doing. Remember, it is not advisable to reduce or stop taking anti-epileptic medication without consulting your medical doctor!